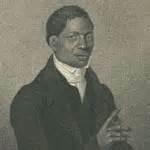 John Gloucester, founder of the first African American Presbyterian Church in the United States, was born enslaved in Blount County, Tennessee, in 1776. Before gaining his freedom, his name was Jack, and as a believer he began converting slaves to Christianity at an early age. Rev. Gideon Blackburn, the new Pastor at New Providence Presbyterian Church in Blount County, Tennessee, recognized the potential in Jack and after personally teaching him theology and other subjects, he purchased Jack for the sole purpose of helping him gain his freedom. Although Blackburn’s 1806 petition for freedom to the Tennessee legislature was denied, Blackburn received a certificate of manumission for Jack through the local courts the same year. Upon freedom, 30 year-old Jack changed his name to John Gloucester. Blackburn took Gloucester to a meeting of the Presbyter of the Union in East Tennessee, where Gloucester requested a “license to preach to the Africans.” The Presbytery unanimously voted to take Gloucester under their care, and instructed their new recruit to return after completing further studies. Arriving on November 5, 1806, Gloucester began his formal instructions at Greeneville (now Tusculum) College, becoming the first African American to attend the institution. At the time Gloucester was one of fewer than six African Americans who had received religious instruction at the college level. After completing his studies, Gloucester first traveled to Philadelphia, Pennsylvania with Blackburn in 1807. While Blackburn was engaged in meetings with the Philadelphia Presbytery, Gloucester was permitted to preach in the city. There he found a group of people who were looking for a visionary to lead them, while another group of influential individuals in the city were gathering to form a place of worship for African Americans interested in the Presbyterian faith. These two groups were the foundation for the forming of First African Presbyterian Church in 1807. After spending a brief period in Philadelphia, Gloucester was sent by the Philadelphia Presbytery to Charleston, South Carolina. He was brought back to Philadelphia as a missionary in 1809. Gloucester was only licensed to preach by the Presbytery and could not yet lead a church without being fully ordained, so he was again sent back to Tennessee to obtain the final qualifications for his calling. On April 13, 1810, Gloucester was ordained at Baker’s Creek Presbyterian Church in Maryville, Tennessee, and after the service, he and his wife Rhoda and their four children, John Jr., Jeremiah, Steven, and Mary, returned by wagon to Philadelphia and his emerging congregation. Their fifth child James was born later in Philadelphia. All four of Gloucester’s sons became Presbyterian ministers, and three formed their own congregations. Jeremiah formed Second African Presbyterian Church in Philadelphia in 1824, Stephen formed Lombard Central Presbyterian in Philadelphia in 1844, and James founded Shiloam Presbyterian Church in Brooklyn, New York in 1849. John Gloucester pursued and continued a dedicated ministry until he succumbed to poor health and died of pneumonia in 1822. The Presbytery of Boston, Massachusetts sponsors John Gloucester Memorial Scholarships for Presbyterian college students nationwide.